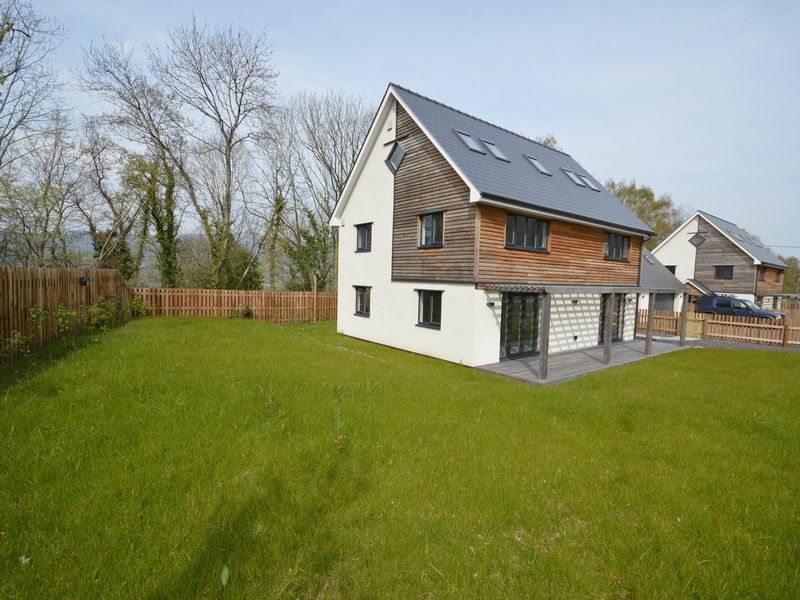 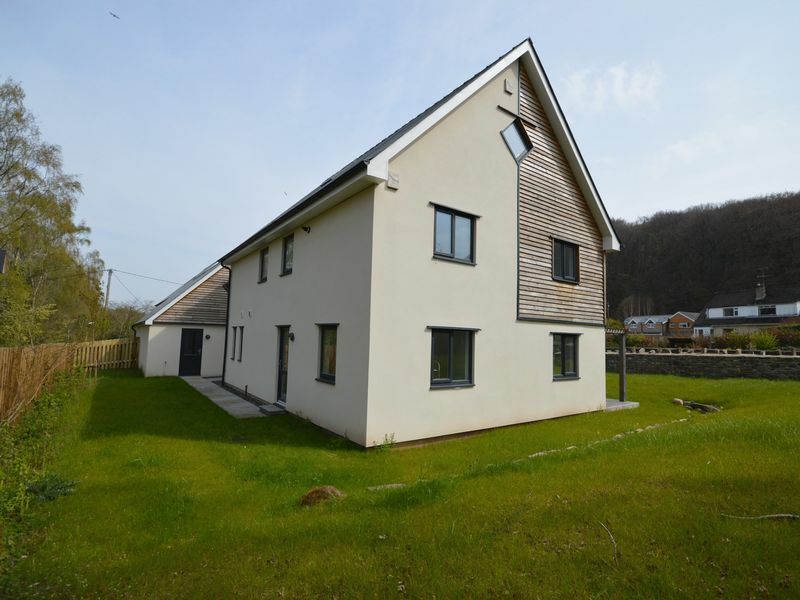 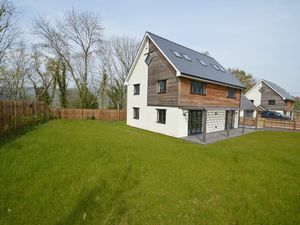 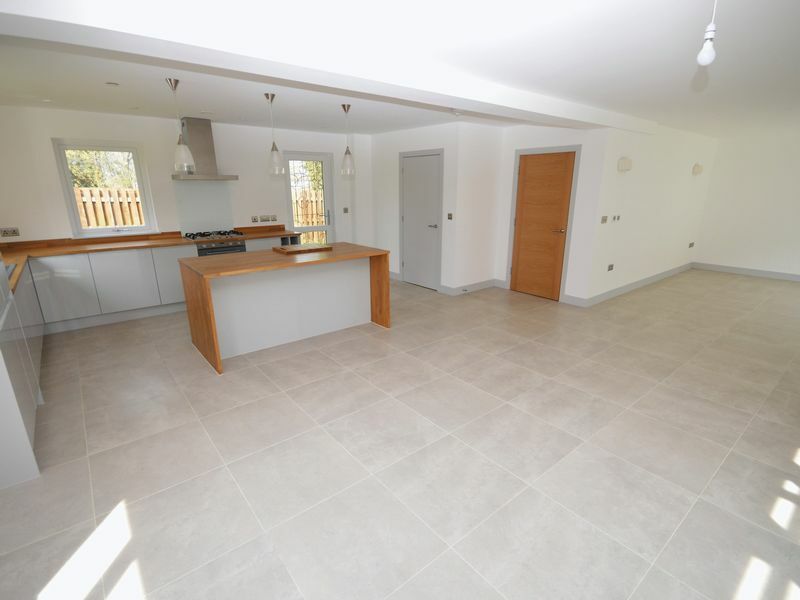 Built by innovative local builder, Nada & Nada, The Nestling is a brand new, bespoke five bedroom detached property with the emphasis firmly placed on ecological considerations and sustainability. 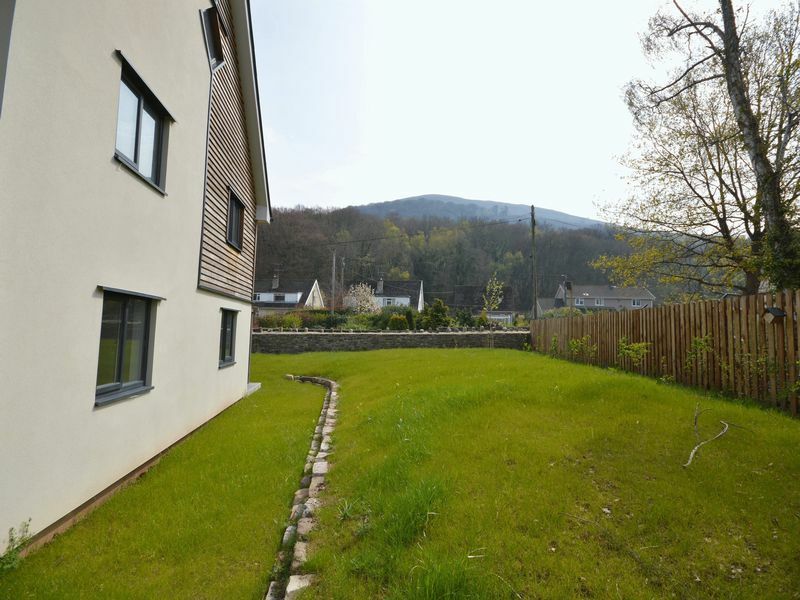 It is located in a prime position, moments from the Brecon and Monmouthshire canal in the popular village of Govilon, near Abergavenny, in the heart of the Usk Valley. Whilst the driving ethos in the creation of The Nestling has been energy efficiency, first and foremost it is a splendid and inspiring family home offering superbly proportioned and impressively finished accommodation throughout. 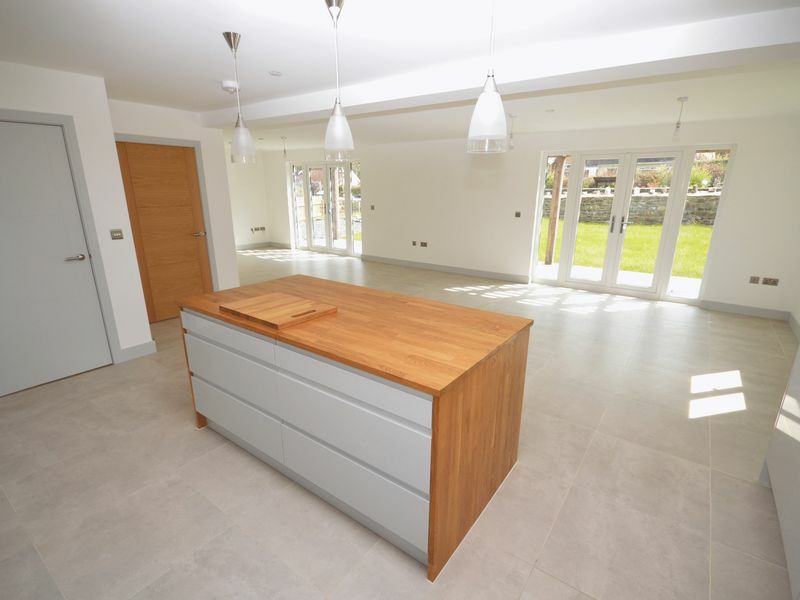 The heart of the home is the breath-taking open plan living space on the ground floor, which combines the kitchen, lounge and dining room in one 34’ space. 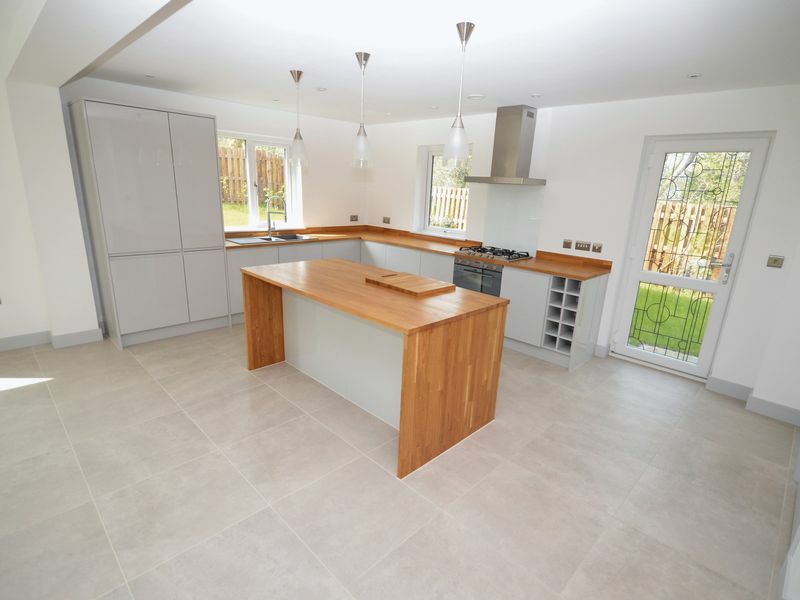 Fitted with a Sigma Three kitchen incorporating a feature island and integrated Smeg appliances, the high quality finish includes Mandarin Stone marble flooring throughout. 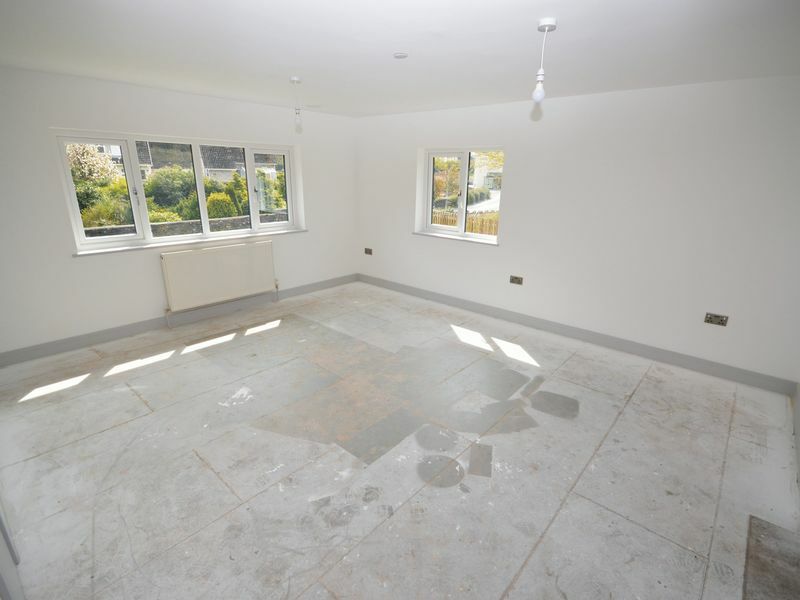 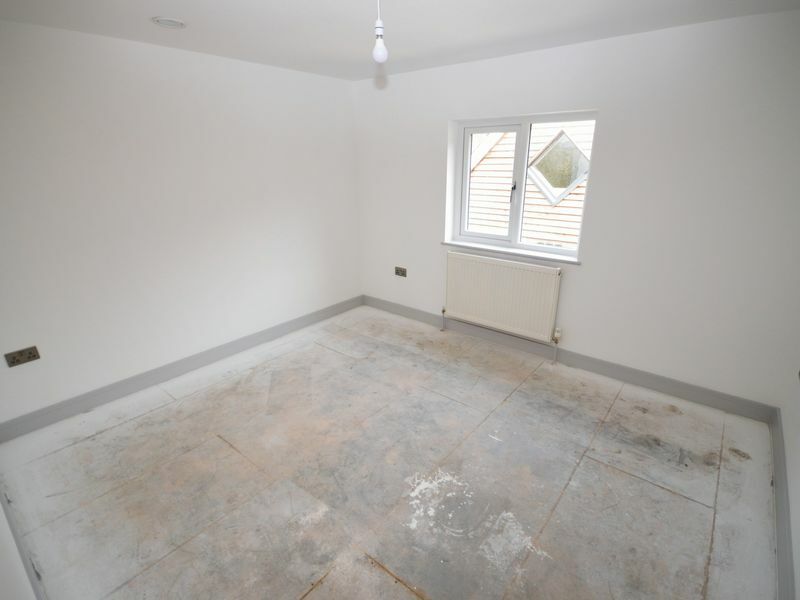 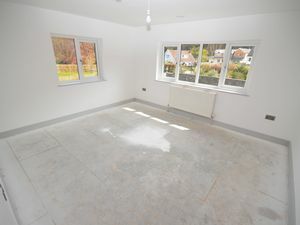 Further benefits include underfloor heating utilising smart technology, and two sets of French doors to the garden. 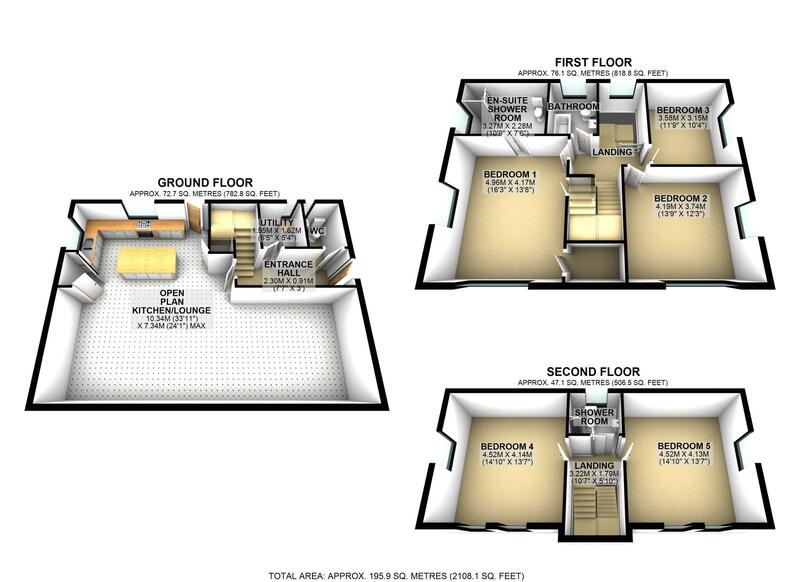 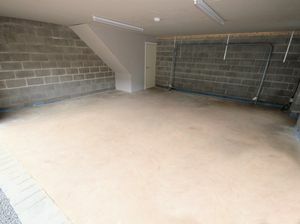 In addition, the ground floor includes a separate utility room and WC. 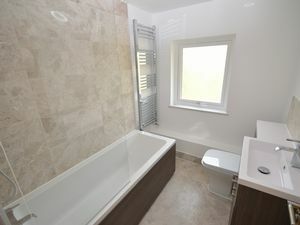 On the first floor there is a large master bedroom with built in storage, walk in wardrobe and impressive en-suite with luxury shower and his and her vanity sinks, again finished with Mandarin Stone tiling. 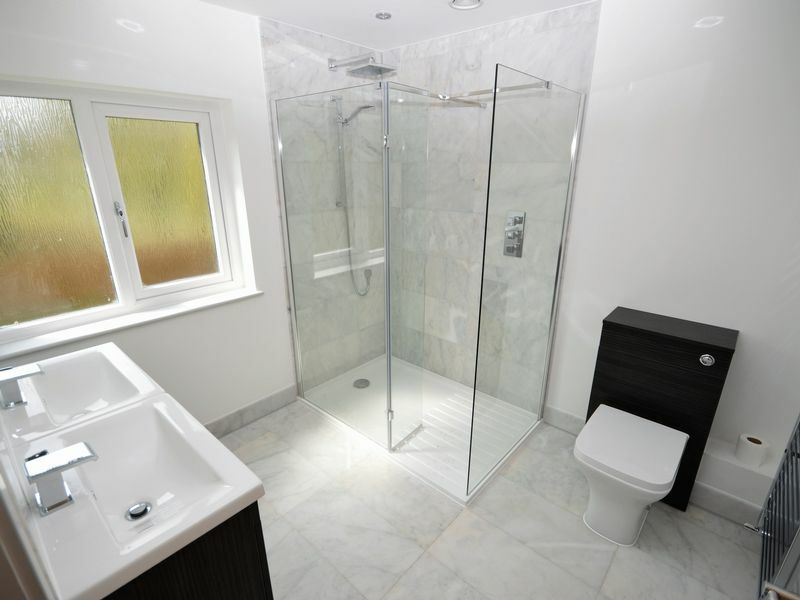 There are two further double bedrooms and a superb three-piece family bathroom. 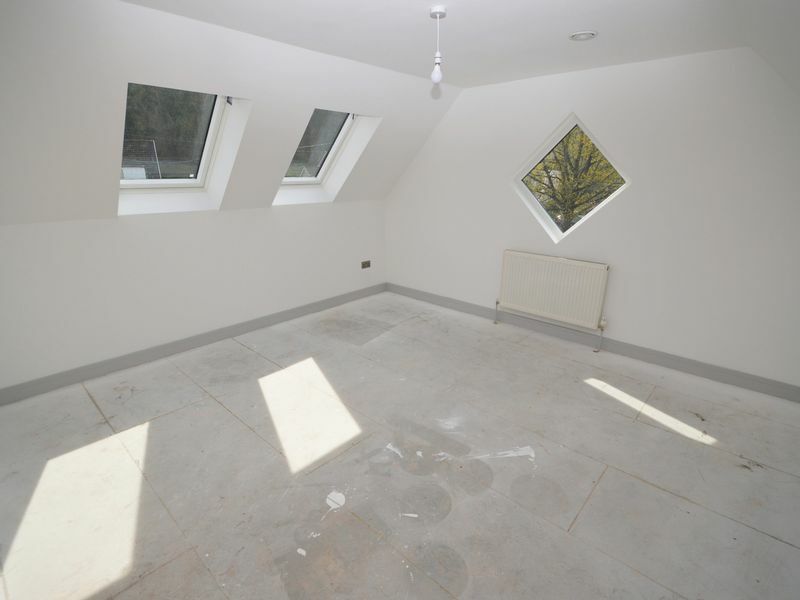 On the second floor there are two double bedrooms with feature windows and a shower room. 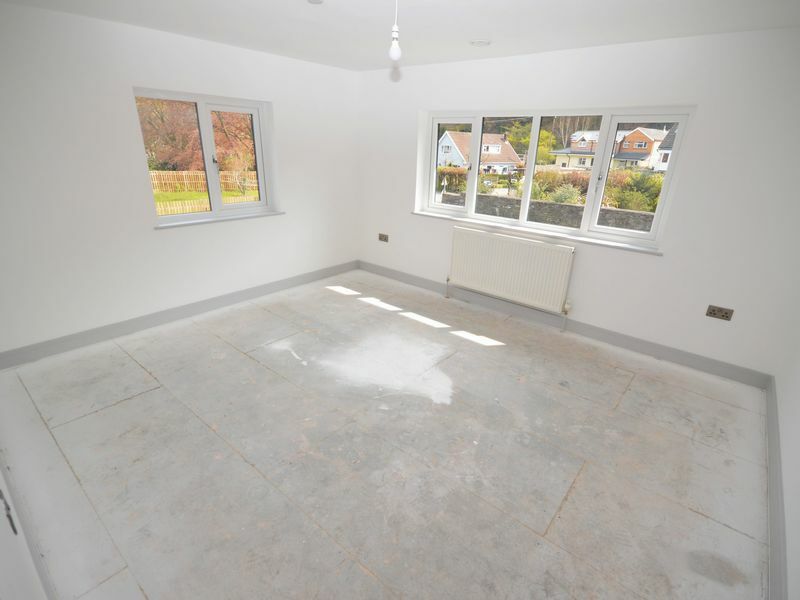 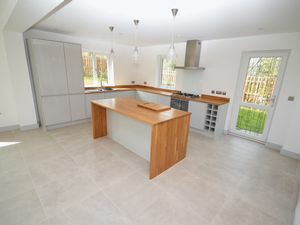 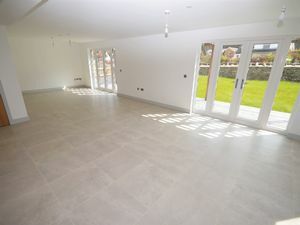 The property has been completed to an exacting standard in all areas with oak internal doors throughout, whole house sprinkler system and a state of the art ventilation heat recovery system, which increases the efficiency of the property by recycling the air flow and utilising the heat there-in. 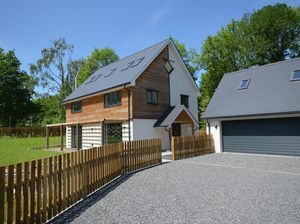 Externally the property has been clad in local larch chosen to fade over time to silver. Accessed via a gravelled driveway providing parking for two cars there is a large double garage with remote control roller shutter door. 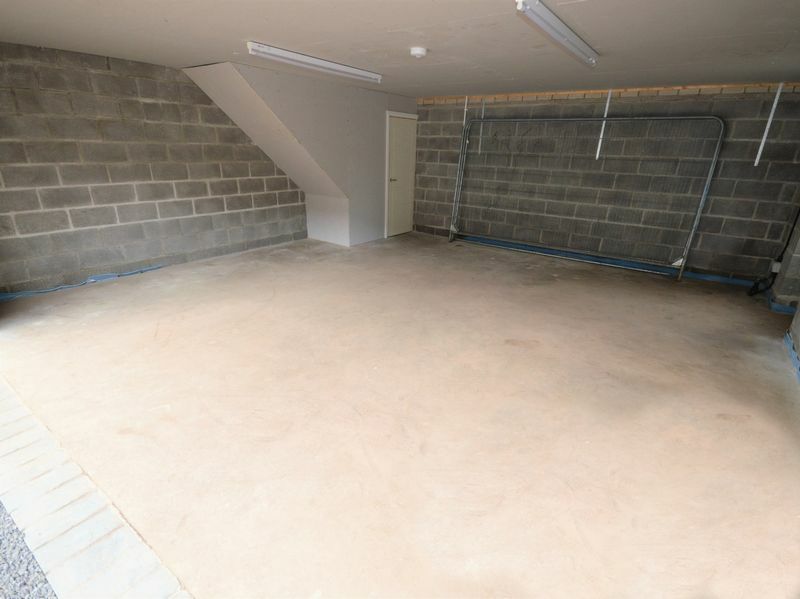 Above the garage there is a large store room accessed via stairs, insulated and boarded with electrical points, lighting and water, offering potential for future development. 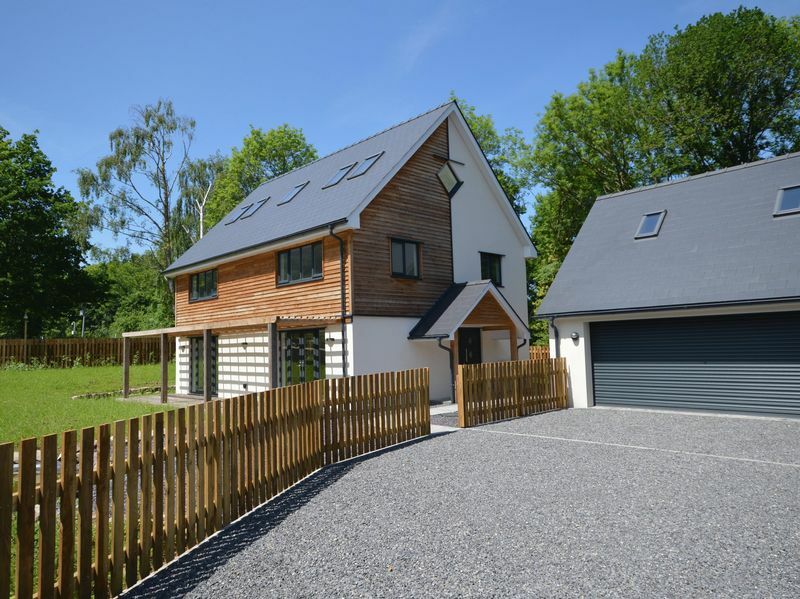 The property sits in a plot of circa 0.2 acres enjoying south facing garden which has been seeded and planted with beech trees. 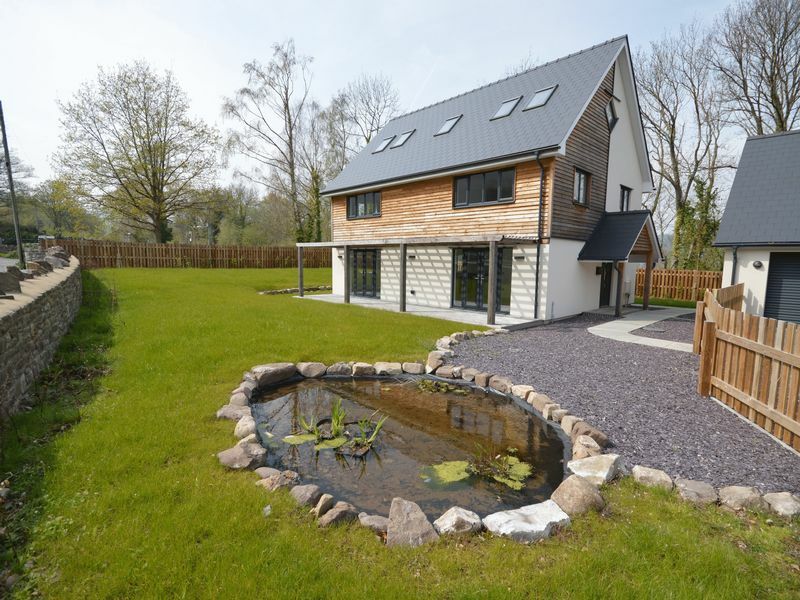 Once again larch has been used to create a decked seating area running the full length of the house with pergola. 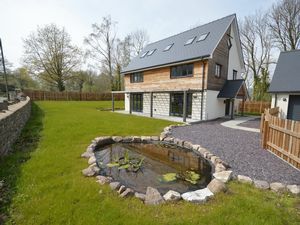 In summary this is a beautifully presented and painstakingly constructed house which expertly blends the demands of a stylish modern home with consideration of its environmental impact. 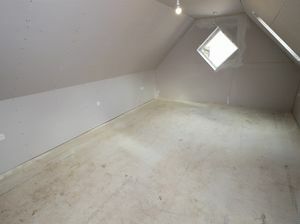 As such it is both a superb and rare opportunity.